the nest apartment | Badudets Everything Nice! 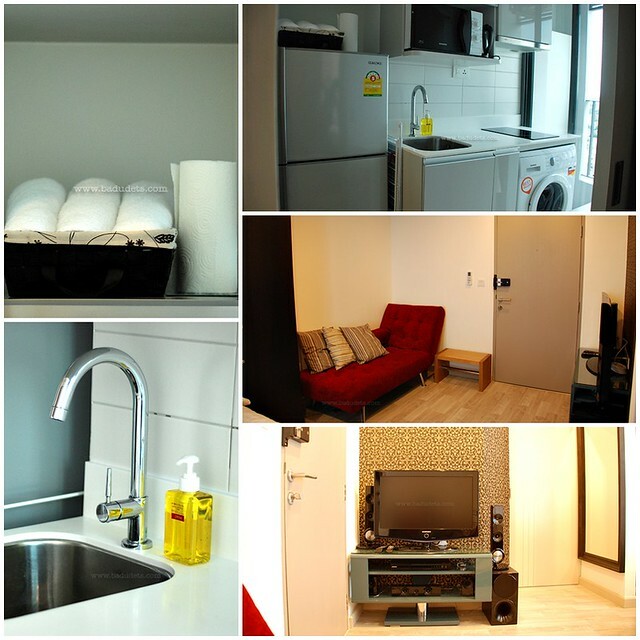 On our 6-day Bangkok trip, we used Roomorama for our apartment stay. We love using Roomorama because it gives us value for money. We can have a 5-star-hotel-like amenities but with the price of a guesthouse. I think I have evolved in our accommodation choices from years of traveling. Before, it’s okay for me to just book the cheapest room as long as it has a bed, airconditioning, and ensuite bathroom. Now, I have a lot to consider such as the location, how comfy is the bed, bathroom size, environment, nearest 7-Eleven or supermarket, security, room size, etc. I’m looking for a more comfortable stay but still within our budget. In Bangkok, there are a lot of affordable hotel accommodation to choose from, I’m so tempted to book a hotel in the Pratunam area so that I can go shopping any time of day. But I knew that Jeff won’t like the area that much so I looked for other apartments available in the site. I found The Nest Apartment, located in a newly built modern condominium which is only $35 or 1,100 baht per night. Convert that to peso and it’s around Php 1,500. Look at the amenities we enjoyed for just Php 1,500.
complete with modern appliances for cooking and laundry, clean towels, dishwashing liquid, hand soap, etc. We can’t ask for more.